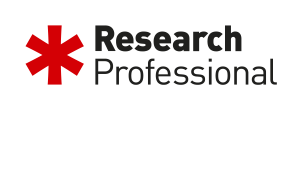 Research Professional is the preferred system used by the James Cook University research community to search for funding opportunities and funding related news. To access this service, choose James Cook University from the list of institutions and sign-in with your JCU account. Each user has a profile where they can bookmark their created funding searches (and/or adapted searches based on example searches) and create alerts to receive emails with funding opportunities based on these search criteria. Users can also assign themselves to more than one group within JCU. To view the groups, click on Our Institution and navigate through the hierarchy on the right-hand side. Click on any group to see any predefined funding searches and the people who are already members of the group. To join, click on the Join this group button. If the group has setup funding alerts you will receive these in a weekly email along with any other funding alerts you may set up for yourself. If you have any questions about the research opportunities, please call the JCU Research Office on (07) 478 15011. For questions relating to Research Professional, please contact your nearest friendly Research Services staff member.